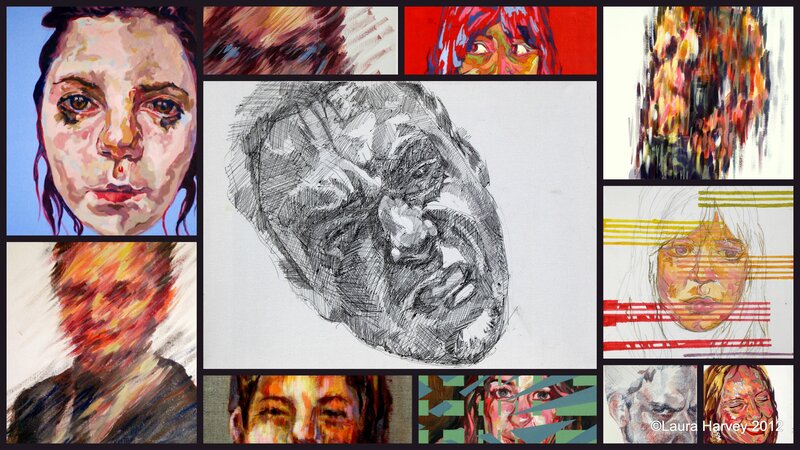 Laura is a contemporary artist concentrating on portraiture and figurative painting, working largely in acrylics. Her work is diverse in tone, ranging from the intimate and tender to more witty and playful pieces. Current themes include portraiture and the figure in popular media imagery as well as block colours and a rainbow palette. Laura is interested in getting people to actively participate in their own portraits, through volunteering to sit for a portrait or selecting and submitting an image of themselves. The final work represents a collaboration between sitter and painter, raising questions about how informative portraiture can be and what we take from it. If you are interested in taking part please see ‘The Portrait Project’ section of this site.